Spa Holiday Gift Card Promotional Planning - Spa Advisors, Inc. In 2014, the gift card business in the United States surpassed $124 billion dollars! What is even more astonishing is the fact that ten to fifteen percent of that total will go unredeemed. Why should your salon or spa not be a beneficiary of this massive business opportunity? No matter where you go, whether your local grocer, pharmacy or even office supply store, gift cards are front and center, available for purchase at any time, from a number of retailers. You will find their store brand gift cards along with a plethora of cards from fast food establishments to Nordstrom and Bass Pro to Toys R Us. Why? There are substantial profits made by both the retailer offering the cards for sale and the retailer issuing the card. Those cards are convenient for shoppers, an easy gift for hard-to-buy-for individuals and normally usually appreciated by the recipient. They have become a staple in most retailers and many dedicate high traffic end caps to them. If you have not already, start today to prepare for this upcoming surge. Yes, spas and salons need to class those retailers as competition. Why? The answer is simple: because they are potentially taking your gift card and gift certificate businesses away when you do not make your statement as pervasive as theirs. Over the next week, make the sale of gift cards or gift certificates a top priority. This takes pre-planning, marketing, strategic marketing, dedicated space within your facility and a sales goal by day. This article is short and only touches on each topic. For more in-depth discussion, call us. This article will help you run a highly effective gift card or gift certificate program in your salon or spa. Why are gift cards important? Traditionally for most salons, spas and retailers, certain times of the year are slower than other times. Those months include the summer months in areas where summers are extremely hot, the month after students return to school, usually August and September, and January, when most people are recovering from holiday spending. The elation and highs brought on by higher-than-normal holiday spending evaporate with a seemingly instantaneous drop in revenues usually beginning right after New Year’s Day. The modest surge in momentum brought by Valentine’s Day sales cannot counter pre-holiday selling. Gift card sales help during those times! Focus on the sale of gift cards before the holidays and the redemption of gift cards after! I have heard two schools of thought on gift card sales over the years. The first: “We don’t care if the gift cards get redeemed. We have their money.” Many problems with this train of thought which we would discuss later. The other, “Let’s get those gift certificate recipients into our facility now! They will likely spend additional money, perhaps purchase product and if we do everything right, we have a new customer!” This is what I feel is the correct attitude toward gift card sales and redemption. Gift cards and gift certificates are a pre-payment of services or products. The sales of these cards or certificates allow your customers the ability to give the gift of beauty to a spouse, relative, teacher, coach, friend, or significant other. Normally salons create a minimum purchase requirement for the gift card (we suggest $25 as a minimum, perhaps $50 in higher end facilities). So why are they important? Offer incentives for purchases over $100. Do not discount and sell for a lower price, such as “A $100 gift card for $80.” Instead, offer a separate $10 or $20 certificate, with appropriate disclaimers, in addition to the gift card. You can limit their expiration and should have an expiration date. We will explain below. Pre-print certificates/coupons valued at $10 and $20. (See above) These are not gift cards and do not have monetary value like a gift card. Make sure you place disclaimers on them as follows: These coupons do not have monetary value and not redeemable for cash. This can be used towards services or products valued at $20 or $40 respectively. This coupon expires on______. __________reserves the right to cancel or suspend this program at any time. Check with your accountant and/or legal counsel for appropriate wording of these items. Dedicate one-half of your advertising budget to the sales of gift cards. Plan your social media attack! Plan your gift card sales by day and plan your social media marketing by day too. Determine when you will post, when you will email and when you will tweet, by day! Make sure your database is up to date. Use Social Media to educate your clients about your gift cards. Place a promotional box on your home page. Sell online. Make sure you are set up to sell gift certificates or gift cards on-line. If not, at least have a place where a guest can send an email to place an order. Understand that you need to make it easy! Let them call their orders in and pick them up later. Allow them to order on-line or e-mail. 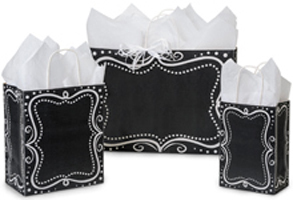 Have a beautiful presentation available or, offer giftwrap for them. Be ready to ship them if needed. Be clever in your marketing in-house! For example, “Would my wife rather have a family dinner with an Olive Garden gift card or, a massage at ______________?” Easy answer! If creating packages, offer the best selling services in your packages. If you developed your menu properly, you have a basic service in each category, with a lower cost of goods, driving the predominance of sales in that category. Do not create new services just for gift certificates. Create packages using these services. An example: Signature Deep Cleansing Facial-$85, Swedish massage $85, Spa Manicure $25, Spa Pedicure $55. Total Regular price for these services purchased individually is $250. It is perfectly acceptable to offer this package at no discount. If you feel that incentive is needed, perhaps offer a light snack and a $20 certificate to be used towards products or additional services (the one mentioned above), bringing the value of the package to $295, for only $250. Create three packages: use a good, better, best philosophy. Fit them into price points, acceptable for your demographic. The reason I recommend printing certificates or coupons to use in addition to the gift cards is simple: These do not fall under Unclaimed Property laws and if not redeemed, they have no value. If not used by a certain date, they can expire, unlike gift cards in several states that by law have no expiration. You must check your state for specifics. Set your sales goals. To start, your goals should equal five percent of your total service and retail sales last year. This means, if your salon’s revenue was $250,000 last year, your goal should be $12,500 in gift card sales. Most successful operators sell in the range of ten to fifteen percent of total sales. Replenish your stock. Order cards immediately. It is okay to have one basic card and one seasonal card. They are not expensive. Better to have too many. They should work with your electronic POS system. If you do not have a supplier, call your software provider and they will recommend one. We have listed a few below. Replenish bags, tissue paper, and boxes. Everyone has a different presentation for gift cards. Some simply place them in an envelope, while others place them in a beautiful box, with a card insert describing the services, then into a bag with tissue. Whatever you do, make sure it is special. Make the process time efficient. If you have the ability to sell electronic cards, do it. Paper gift certificates are labor intensive to make out for each guest, easily lost and more expensive. Target men! Make sure you have focused at least of your marketing on men. They tend to buy closer to the holiday. Ease of shopping is very important to them. Be ready to make a suggestion based on their budget and offer complimentary gift wrapping services or packaging for their card purchases. Create a contest within the salon or spa. Make recommending gift cards part of the culture during the holidays. Make it easy. Have collateral materials created to make it easy for your receptionist to sell cards over the telephone or to guests. Create a gift card displays throughout your facility. It needs to look like you are in the business to sell gift cards! This means that every area in your salon frequented by guests should suggest a gift card. The cash wrap, the styling area, every treatment room, the shampoo area, the relaxation room, the waiting room and even the restroom. Create a spreadsheet to track and recap goals each day. Understand the sales become stronger and stronger every day with the strongest sales happening on December 23! You will find a spreadsheet to help you track. Launch in a big way. Make this event a big deal within the facility. Make sure they feel part of the planning and the event. Track sales by staff member. Let them know how they are trending against their goals. Congratulate their successes. Inform your staff daily of your achievements. Make it fun. Make sure they understand WHY the sale of gift cards is such a focus. Being busy after the holiday is something they may not be thinking about now. Look for ways to improve. Your initial plan may need modification. Figure out what is working, what is not and adjust. Attitude is everything! Love selling Gift Cards! Make sure everyone understands the importance of selling gift cards and is onboard. Do not let one negative individual ruin your chances for success. Place importance on the recommendation of a gift card. Everyone has a hard-to-buy-for friend, spouse or even a teacher or coach whose hobbies and preferences are unknown. Offering in denominations of $25 or more make them affordable for most. You may choose during the holiday time to decrease the minimum purchase to $15, making it affordable for teacher and coach gifts. Know that the momentum builds everyday as you approach Christmas. Women traditionally purchase earlier, men later. Focus 365 on Gift Card Sales-Not just the 90 days between Thanksgiving and Valentines day! Focusing your attention now on holiday gift giving is key; however, you should keep this going throughout the year! Birthdays, anniversaries, graduations, baby showers, bridal showers, and thank you gifts can happen throughout the year. Make sure you “plant the seed” throughout your facility, year round. Keep a gift card section as a small part of your retail space. Change the way it looks by using different display bags and signing. We talked a bit about the right and wrong attitudes to have relating to gift cards. Redeeming gift cards gives you an opportunity to sell those recipients additional services, products for perhaps another gift card for someone else. Here are a few suggestions: “It’s time to redeem those holiday gifts!” is a great way to engage guests via social media. Remind them via a Twitter, Snapchat, Instagram, and Facebook to come in to relax, refresh, and unwind after that busy holiday season! Ask technicians to continue their recommendations throughout the year. When a guest calls in for an appointment, they may mention they are redeeming a gift card. Ask if the recipient has been into your facility before. Ask if they have any questions. Make them feel welcome. According to a source cited below, “60% of gift card recipients spent and additional 38% over and above the value of the card. What does this mean for you? Yes, additional sales! Recommend products! Make sure your facility is well maintained as those redeeming gift cards are ready to buy! See how effective your redemptions have been. When a gift card is redeemed, track how much that guest spent overall. You can see for yourself how important this strategy can. Remember, you must check Unclaimed Property laws and laws relating to gift cards by State. Do no assume that money is yours if the recipient chooses not to redeem their cards or certificates. MAKE A STATEMENT. MAKE IT APPARENT. MAKE IT APPEAL TO MALES AND FEMALES. Identify five locations within your facility. Make a gift card statement in each location, whether a poster, a framed sign or, a display with bags and tissue, make sure it is impactful. Show your gift card presentation to your guests. This presentation is from a company called Nashville Wraps. www.nashvillewraps.com. If you do not have custom bags, tissue and boxes, you may choose to use something like this, utilizing gold or colored tissue to accent and pull your salon or spa colors into the equation. If your focus is natural, organic and renewables, you may choose to purchase reusable bags, such as those pictured above with the gift card inserted along with menu or card with the web address, allowing the guest the ability to peruse the menu online. Could I have sold more? Did my staff understand the importance of gift card sales? What are some other promotions that could compliment this effort? By now, every business owner must understand the fact that revenues generated from the sales of gift cards are Unclaimed Property in most States. It is imperative for every business owner to understand what this means and what your long-term liabilities may be. Many states do not allow gift cards to expire while others range in duration from two years to five years or more. Once they expire, there is a process by outlined by each state. Check with your Accountant or one of the numerous online services for more information. These laws protect the gift card owner from unfair business practices. Statistically, you could end up with fifteen to twenty percent of your gift card sales going unredeemed.